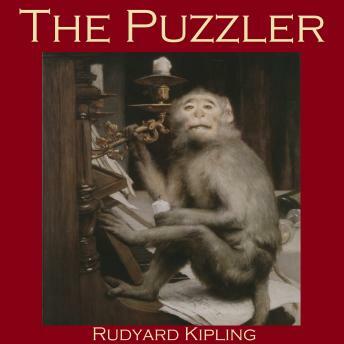 "The Puzzler" is a humorous tale of a young man who is trying to engineer a meeting with an influential law lord who he hopes will support him with a great business idea. A fortuitous chance means he happens on the law lord while he is conducting a light-hearted experiment with a group of old school friends. They are attempting to see whether a monkey can climb an araucaria (monkey puzzle) tree. The experiment ends in farce as the monkey escapes and gets into the house... exactly at the moment when the owners of the house appear.